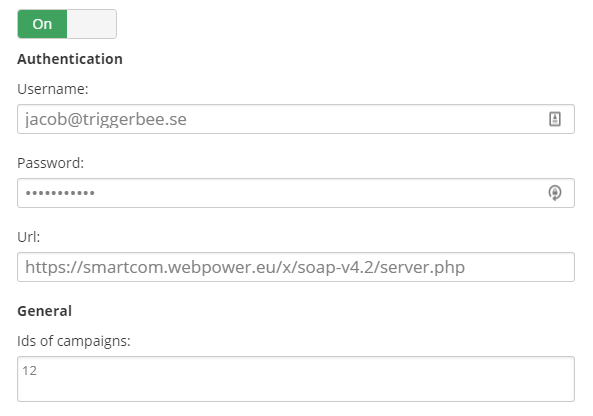 The Triggerbee Webpower integration makes it possible to get better analytics on what company and subscribers that are reading the articles on your website. 1. Login to Triggerbee, go to Apps and activate the Webpower app. 2. Login to Webpower, and activate the SOAP extension. You'll find the option just below your quick links. It should be purple when activated. If you can't activate your SOAP extension, you need to contact Webpower support in order to activate it. 3. In Wepower, click on settings in the top navigation bar, then click on "Sub-accounts" in the left-hand menu. 4. Click on the blue cogwheel on the right-hand side. 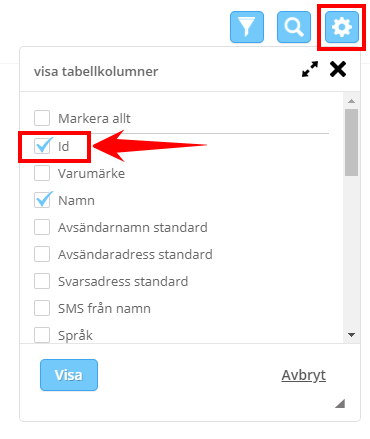 Tick the "Id"-box and click on "Show". Find your account in the list and write down the ID to the left of the account name. 5. 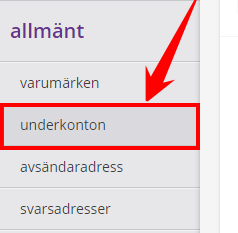 Now, double-click on your account name to go to the settings . 5.1 - Scroll down to the SOAP settings, and ensure it's set to "Yes". 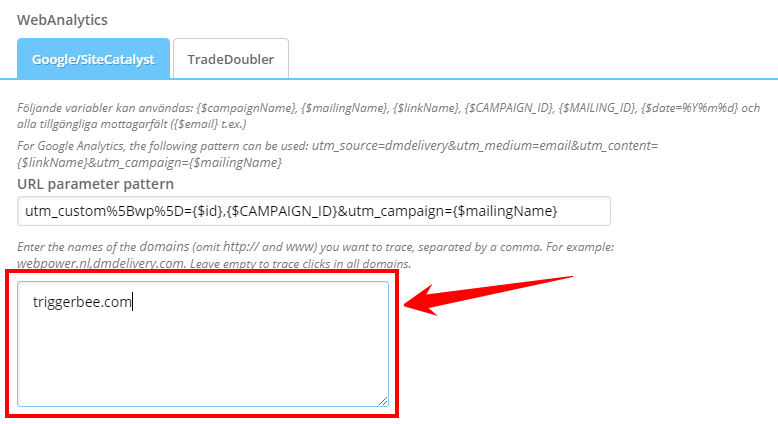 Id's of campaigns: The ID of your sub-account that you found in step 5. 8. Click on Save and you're done. Bonus step: Send out a test-campaign to yourself or your colleagues with a link to your website. Click on the link, and within 2 - 5 minutes, your email should appear in Triggerbee's visitor list.